Comments: BRAND NEW W/FAST SHIPPING! 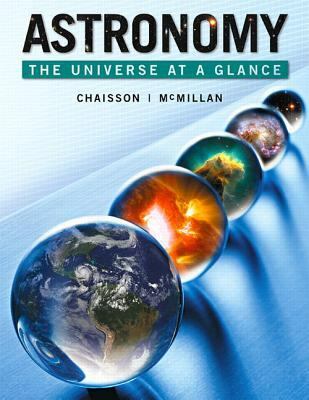 This item is: Astronomy: The Universe at a Glance, 1st Ed., 2016, by Chaisson, Eric^McMillan, Steve; FORMAT: Paperback; ISBN: 9780321799760. Choose Expedited for fastest shipping! Our 98%+ rating proves our commitment! We cannot ship to PO Boxes/APO address. To avoid ordering the wrong item, please check your item's ISBN number! Chaisson, Eric is the author of 'Astronomy : The Universe at a Glance', published 2015 under ISBN 9780321799760 and ISBN 0321799763. Loading marketplace prices 18 copies from $18.49 How does the rental process work?